We give machines their health and vitality back! Both new and older machines can be revitalized with the newest technology. We do this by upgrading your machines’ control system. A control system upgrade results in a longer lifecycle, higher reliability, and new and sophisticated functionalities to your machines. We help your machines to reach their Highest Production Potential by upgrading their control system. A machine’s Highest Production Potential (HPP) signifies the best performance a machine can deliver. It consists of two elements: the highest possible uptime, and the highest possible productivity within uptime-hours. PlantmatiQ renews the life-cycle of your machines by upgrading their control system. We see the control system as a machine’s nervous system: it’s the key to a renewed vitality. An upgrade of the control system makes the machine reliable and serviceable again. An advanced control system opens the door to new features and functionalities. Your machine is up-to-date again for a long time to come, whilst saving money on replacing your old machinery! Knowing how the old can be advanced, means knowing how the new should be developed. The improvements in your current machines can be passed along in the newest line of machinery. Interested in increasing uptime, increasing profits and building a more stable business? Start with a personal upgrade plan! What is a control system upgrade? Underperformance of a machine is often caused by malfunction components of a machine’s control system. Electrical control systems age, affecting their reliability. An upgrade of the old control system establishes reliability again. 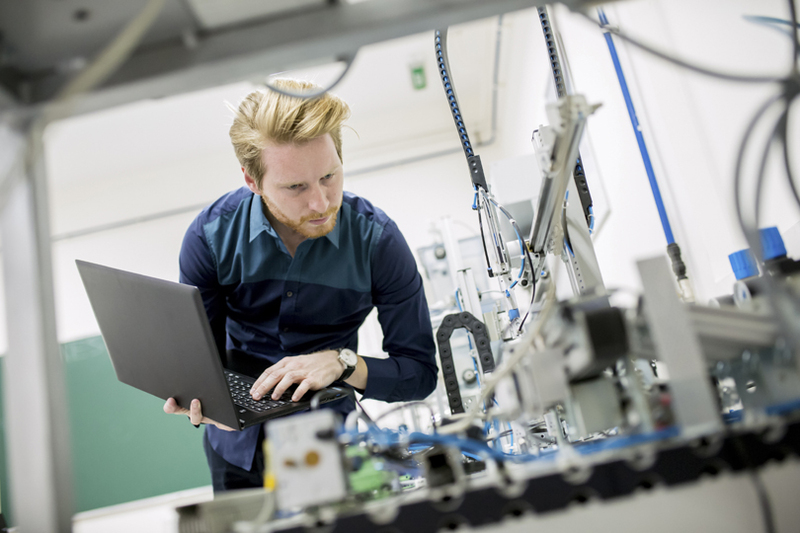 The costs of such an upgrade are roughly one third of the costs of full replacement, while the longevity and productivity it adds, is no less than that of a new machine. Why a control system upgrade? This upgrade not only extends the lifespan of your machine, but it can also add new functionality. This can be done in any way you, the user of the machine, would see fit. For instance, we can install features that will improve user-friendliness, enhance user-safety, or even reduce energy consumption. We only implement control system with the newest hardware and software features, so that the machine will be reliable again now and a long time into the future. The problem with many current control systems is that their components are obsolete and spare-parts are no longer available. We want to avoid that a stand-still becomes a shut-down by using only state of the art equipment that will be available for at least another 10 years. More uptime guarantees more output, thereby lowering the fixed costs per product. Our experts are specialized in hardware from Allen Bradley and Siemens. They are experienced in production-, printing-, packaging-, and many other machinery all over the world. Our experts constantly keep themselves updated on the latest innovations and techniques in the field of hardware and software. 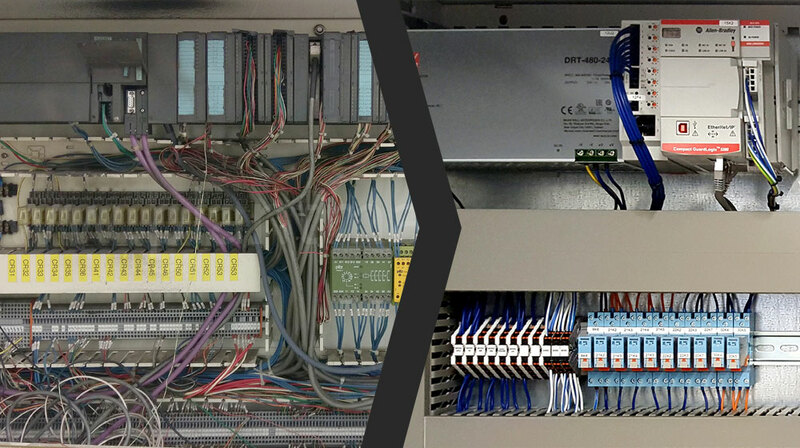 We exclusively design and install state of the art components for the control system of your machine. We have the knowledge to make a plan for smart manufacturing within (almost) any given machine. Our collaboration will kick off with an upgrade plan: a complete overview of both problems and solutions regarding your machine. In this program, we will analyze the functionality of the machine and research the upgrade options. At the end, you will be offered an outline of the machine’s current state, its potential, and the pay-offs of a control system upgrade. When you leave your name and mailadres here, we will add you to our mailing list. Your phone number will not be used for any other purpose than getting in touch with you. PlantmatiQ knows the mechanical side of machines as well as the software they run on. This enables them to look at a machine in a complete and intelligent way. They were able to help us out quickly en entirely to our satisfaction. Where we were struggling for a while, PlantmatiQ saw the solution immediately. PlantmatiQ refurbished a Van Dam lid printer with an Allen Bradley control system, so that the electronic components are completely new again. PlantmatiQ is pleasant and professional in their interaction, and flexible in their approach. We are happy with the work they did for us. PlantmatiQ's way of working is both fast and reliable. We had a good collaboration and we were more than satisfied with the work they did for us. Thanks to Plantmatiq's knowledge and expertise, we have been able to take large steps in the improvement of our machines. They managed to look beyond the specific problem and were therefore able to offer a complete solution. This was a solution that exceeded our expectations by far. Ready to start your next project with us? That’s great! Feel free to contact us with any question you might have.